This post is about a an international product - Swisspers Cotton Balls. 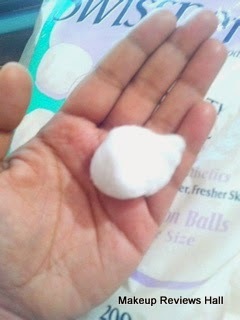 Cotton Balls are required to be used by us daily in various forms specially in Makeup and Beauty regime. 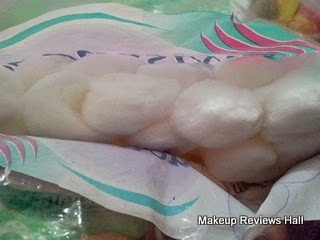 The most common use of cotton balls is to use it with a makeup remover to remove our makeup. 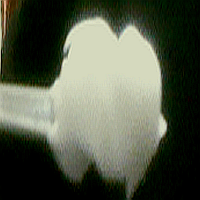 Using it to clean the face by dabbing some cleanser on it is another common use of cotton balls. Till now we have been using simple cotton rolls for this purpose but now I feel how messy, time consuming and unhygienic it could be to use a complete cotton roll in our day to day activities. Thus I want to introduce you a very special product Swisspers Cotton Balls. 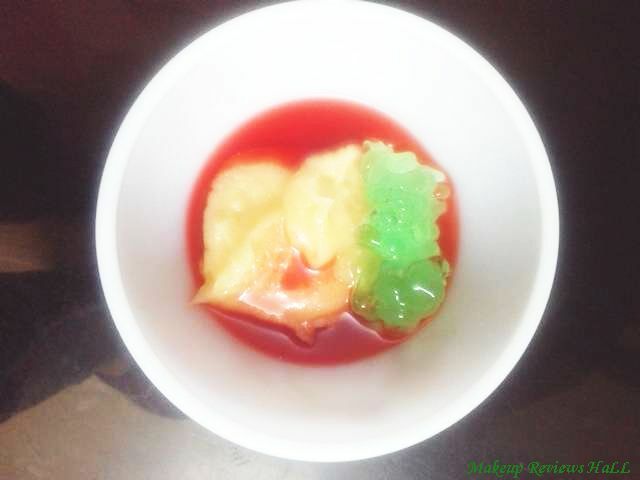 Check the review below to find its uses and more. Swisspers Cotton Balls are available in 2 forms, under Organic and under Premium Products Category. (as per the Swisspers Site). Swisspers Organic products are made with USDA certified organic cotton and grown exclusively on organic farms. Organic cotton is luxurious - softer, whiter and pesticide-free - with super-absorbency to keep moisture away from your skin. Swisspers Organic products are not just better for you; they’re better for the environment. ( as per the site.). U.S. Cotton’s most luxurious product line - offering you the highest quality for a spa-like experience at home. Swisspers Premium products deliver maximum softness, strength and absorbency. They can be used wet or dry, resist shredding and are lint-free, which is especially important for makeup application and removal. Skin care regimens require personalized attention, so we offer our premium products in a variety of types, shapes and sizes - all made for you and from 100% cotton. Different products like cleansing sponges, applicators, swabs etc are available in different categories other than cotton balls. Swisspers Multi Care - Gentle to your skin than Synthetics. Pillowy Soft Swisspers Multi Care Triple Size 100% Cotton Balls are softer and better absorbing than synthetic cosmetic puffs. Swisspers Multi Care 100% Cotton Balls.- accept no imitations! Beauty - Provides greater absorbency and coverage for all your beauty needs. Ideal for the application and removal of make-up, cleanser, astringents and nail polish. Baby - Safe and gentle on baby's skin. Ideal for cleaning and applying lotion, oil and powder. Home - Multi-Purpose for household needs. Use to polish Silver and brass, furniture and shoes. Also for fist aid. The Swisspers Cotton Balls are not so expensive & available at many sites at a reasonable price but they become expensive when shipped to India, because of the shipping charges. Swisspers Cotton Balls comes in a nice packaging with a zip lock transparent bag which is easy to use and even protect the balls from dirt and dust. USES of Swisspers Triple Size Cotton Balls. 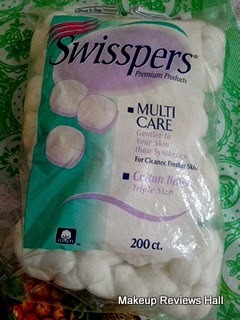 Uses of of these triple size multi care Swisspers Cotton Balls are so many. Though I won't say these are extra ordinary big in size, but just a little more than what we normally use, but since its texture is really thick, and not thin it makes them super easy to use it for anything. Take a look at its size below. Cleansing - First thing for which I use these balls is for cleaning my skin with a normal gentle cleanser. I always do this in winters prior to toning, because the cleanser gives nourishment to my skin. 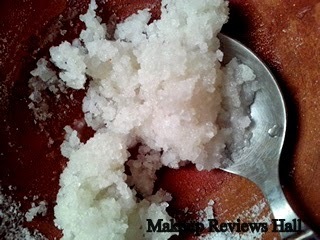 Toning - Next after cleansing, I use these Swisspers Cotton Balls for Toning purpose with the help of my tea tree oil toner. 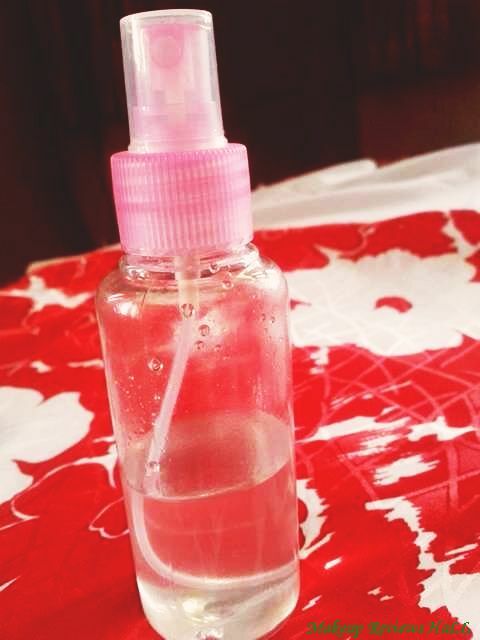 One can even use any Rose Water with it, if toner not available. 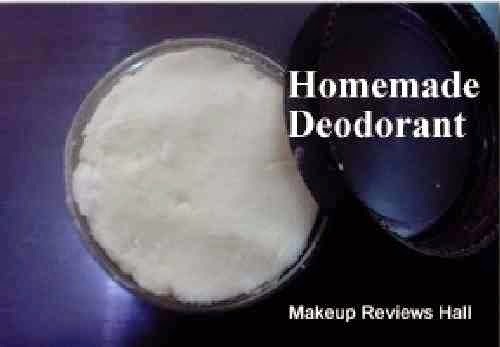 Makeup remover - The most common use of these Cotton Balls for me is using it for removing my makeup which it does perfectly with just a single ball since its so dense. Dirt Remover - I use these Swisspers Balls to get rid or dirt and dust accumulated on my face when I return from outside. I just dab some rose water on it and wipe my face with it. This gives me such a refreshed face specially if I have been out throughout the day without using any refreshing wet wipes. Makeup Perfector - Yes I use these balls to set and make my makeup look perfect. Sometimes when my kajal or an eyeshadow gets smudged or it slips outside, I use this ball to wipe of the extra part carefully. Same I do with lipsticks and lip gloss. 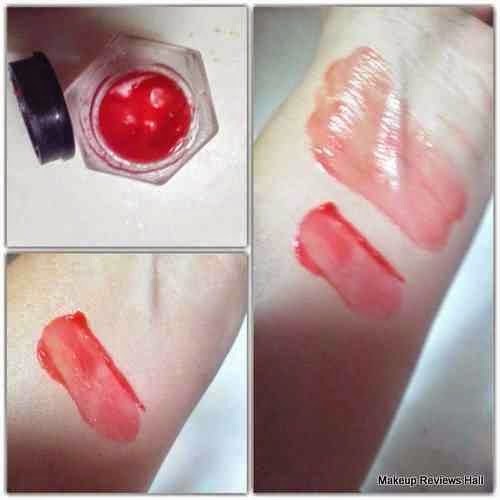 Nail Polish Remover - One can use these cotton balls to remove nail polish and nail paints with the help of a nail polish remover. 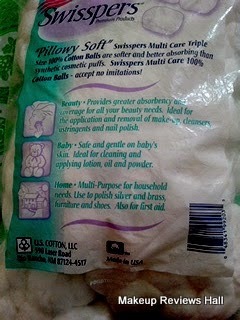 These were some of the things for which I use this Swisspers Pillowy Soft Triple Size Cotton Balls. 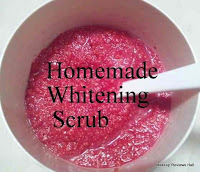 Some of the other uses of it are for applying powder, polishing shoes etc. I sometime try cleaning my feet with it, where it appears small. You can use as per your need and requirement, since these are multi care Cotton Balls. Swisspers Cotton Balls are really soft. Good in size, can be used eaily for anything. Dense texture makes in easy to use. Claims to be 100% cotton. Expensive when shipped internationally to India. u get these options at beauty centre in mumbai.. nice review!